During an office move or business relocation it’s imperative to account for the totality of your business assets. This includes your confidential business documents and files. There’s a high likelihood that your organization, like many others, has a collection of business records that have reached the end of their retention lifecycle. It’s not cost effective, safe nor productive to unnecessarily relocate these your new location where they take up space and represent an exposure risk. Instead, these documents and files should be destroyed prior to moving. Our locked purge bins can be placed within your facility to help facilitate the secure disposal of no longer needed records. Bins come in a variety of sizes to accommodate your specific destruction needs. Once a document has been placed within a bin it cannot be retrieved. After the purge bins have been filled, one of our specially trained shredding experts will transport the contents to our shredding facility in a GPS tracked, alarmed vehicle. We provide an unbroken chain of custody during the transfer process to assure privacy protection. Once your documents and files are transferred to our facility, your records are then shredded beyond recognition with our high speed, industrial strength shredding machines. All shredded material is then baled and recycled. Upon completion of the process you’re provided with a Certificate of Destruction, giving you verifiable documentation as proof of your compliance. The whole shredding process takes place within a matter of hours and improves the overall efficiency and effectiveness of your relocation. And compared to the time and resources it takes to hand feed paper documents through a typical office shredding machine, the savings in revenue and productivity are significant. It’s the reason that our clients look to us to provide a pre-move shredding solution for their organization. The secure disposal of documents and files doesn’t end with the completion of your move. Michigan Office Movers can also organize and provide an ongoing document destruction program for your new location. 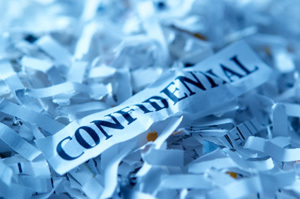 An ongoing shred service helps your organization enhance its overall records management program and maintain compliance with privacy regulations. No matter where you’re located in Southern Michigan, we provide a comprehensive shredding solution that supports your corporate due diligence by reducing the risk of liability for privacy breaches. For more information about our shredding services and a cost free, no obligation analysis, please contact us by phone or fill in the form on the page.